Please call owner Kathy at 318-548-9681. Boat is in Ruston, Louisiana. All stainless, 2 humming bird depth finders. 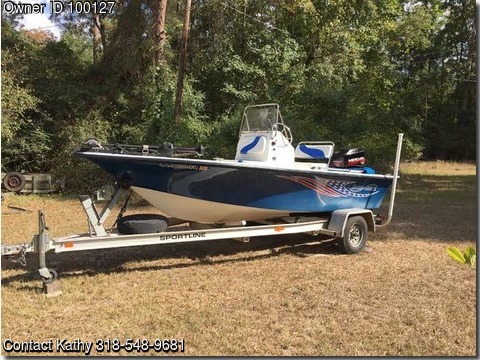 70 thrust trolling motor. 2 live wells, 3 storage spaces. 2 anchors, Bimini top. Aluminum trailer with new tires.